Owning a classic car in London is a real joy, with the opportunity to interact with a city renowned for petrol heads with a penchant for classic machinery and myriad events and meetings to attend in the capital. As with all aspects of classic car ownership, there are steps you can take to make your ownership experience all the more pleasurable, and the matter of where to keep your classic is always on the mind of a potential owner. Whether you’re considering your first classic purchase, or are years into your love affair with your machine, let the below guide shed light on some of the pitfalls that can be avoided with the correct kind of car storage. In London’s busy, often mid-development streets, the risk of damage for street-parked vehicles is well known, provided you can obtain the ever-sought after parking permit. From parking dents to deliberate vandalism, Windrush clients often join following such events. Having seen cases of bird droppings damaging paint, jealous passers-by keying bodywork to even an urban fox biting the spoiler of a vehicle, Windrush routinely deals with those stung by the dangers of unsecure storage. With crime rates in luxury areas becoming common headlines in recent months, the importance of security for cars has become paramount. Ultimately, the only option for those seeking total peace of mind for their pride and joy is private access, secure storage. Many are tempted by the notion of underground car parks, but in reality even in the most top-tier of private accommodation there is still the opportunity for access from non-residents. With the antiquated security of classic cars, knowing that your car is hidden away from prying eyes is a huge plus. Some seek private garaging in an attempt to avoid the aforementioned risks. Cost aside, the major issues with private garaging in London is availability and facilities. In such a densely populated city, private garaging is scarce and often costly as a result. Furthermore, the majority do not offer the essentials needed to keep your car at its best, the major problem being a lack of electricity. Beyond simply having your vehicle appropriately lit, without access to power the delicate batteries of classic cars cannot be trickled when not in use which can limit the life of the battery. It’s no secret that classic cars have their nuances and individual characteristics, and knowing that your car is kept ‘on-the-button’ allows you freedom to do what you want to do. If your car is an investment, know that it’s watched over and any issues that may arise are attended to whether in-house or though trusted partners. Should you be looking for a weekend toy, know you can simply jump in and go – no hassle, no accessibility issues, and no more time spent on cold concrete checking tyre pressures. 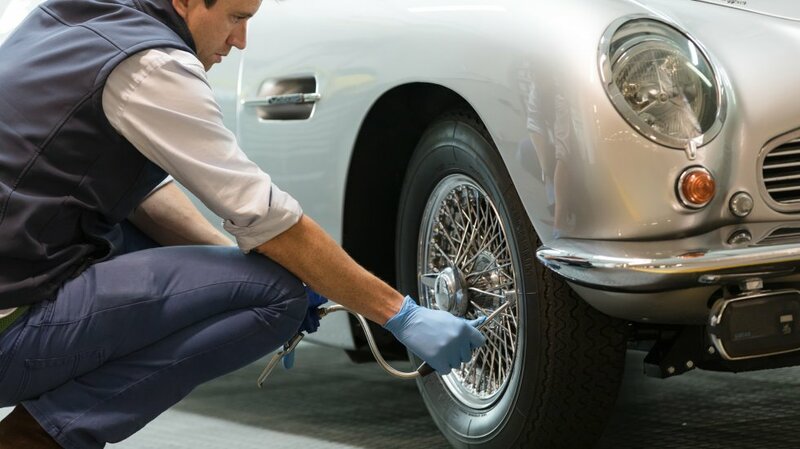 Windrush London’s team is on hand to help with anything you may need, from an extra detail before an important dinner to preparation for a European road trip. In summary, classic car storage is best handled by those who are experienced, informed and covert. Should you be looking for the perfect home for your pride and joy in London, do not hesitate to contact us for further information.